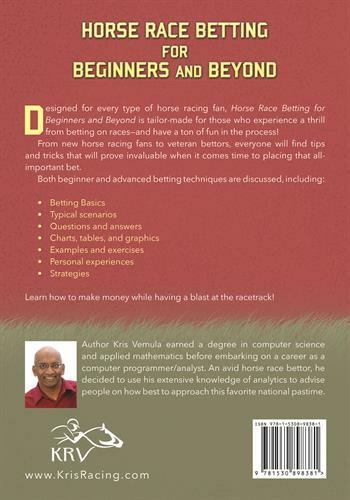 Kris Vemula is an AUTHOR from Albany, NY and a HORSE RACING ANALYST. It's the BEST "Small Investment" that you'll ever make! Nobody DRILLS DOWN DEEP each and every type of bet like I do! Simple & easy to read! Other books are TOO technical, narrow in scope, or both. Be sure to click "VISIT WEBSITE" (on the left). Click HERE to see my book on AMAZON. 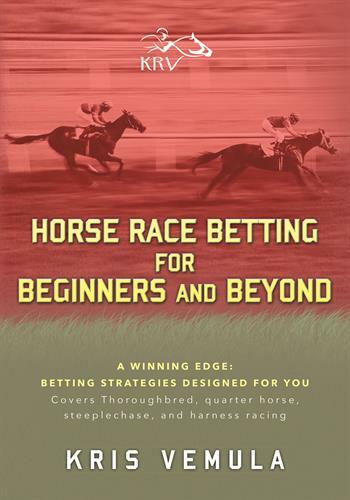 You can drive to NORTHSHIRE BOOKSTORE in downtown Saratoga and buy my book there also.